These two best friends have been buddies since the sixth grade – but in a strange turn of events, they recently discovered that they’re not only best friends… they’re also brothers. Over the course of the last six decades, Walter Macfarlane and Alan Robinson of Oahu, Hawaii have played cribbage together, played football together, and grown up together. They also had similar family histories; Macfarlane never knew his father, and Robinson was adopted. As a means of trying to track down his biological father, however, Macfarlane started investigating his ancestry on the internet. After undergoing a DNA test, Macfarlane discovered that he had startlingly similarly genetics with a user named Robi737. The pseudonym ended up belonging to Robinson, who had taken the same DNA test years earlier so he could find out more about his birth family. Further research revealed that Robinson and Macfarlane were indeed biological brothers. Upon experiencing the shock of the discovery, the brothers are now making plans to travel the world before they go into retirement together. 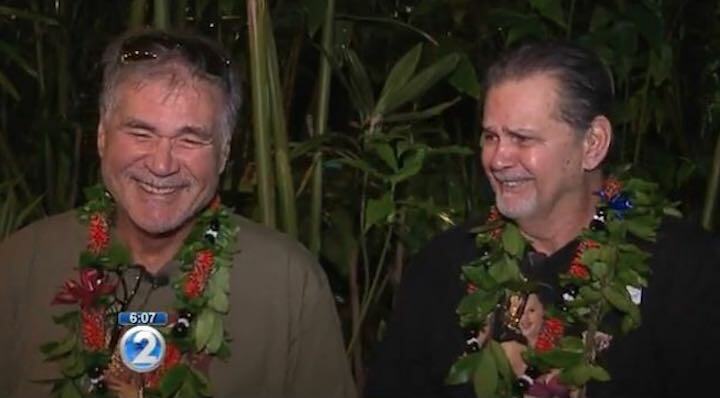 “This is the best Christmas present I could ever imagine having,” Robinson told KHON.